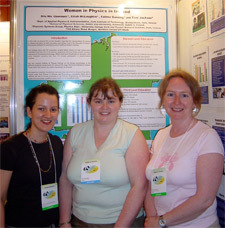 At the 1999 IUPAP General Assembly, the concern was raised that women are greatly under-represented in the field of physics in most countries. Recognizing that all fields of science progress most rapidly when they draw from the complete available pool of talented people, the participants of the General Assembly passed a resolution to form an IUPAP Working Group on Women in Physics. 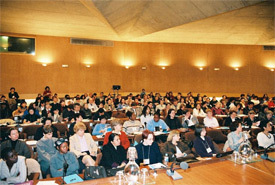 The Working Group planned a three day International Conference on Women in Physics that was held at UNESCO Headquarters in Paris, France, from March 7 to 9, 2002. The results of this conference were presented at the IUPAP General Assembly in October 2002. The IUPAP International Conference on Women in Physics brought together more than 300 participants, about 15 percent of them men, from 65 countries to review data, discuss barriers, share success stories, propose ways to improve participation globally, develop resolutions for action by the IUPAP General Assembly, and help international teams develop appropriate strategies to improve the status of women in physics in their home countries. 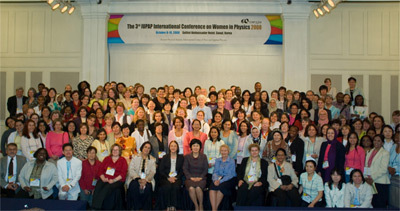 Since 2005 is the International Year of Physics, the IUPAP working group together with Prof. Elisa Saitovitch, former president of the Brazilian Physical Society, decided to organize with the support of the IUPAP Working Group on Women in Physics a Second International Conference in Rio de Janeiro, Brazil. The main purpose of this conference was to analyze the international progress made in the 3 years since the first Conference and to learn about most successful strategies in bringing and keeping women in physics. Addition of a scientific session for sharing research among the Conference participants further stimulated interaction among the attendees, which opened new opportunities for development of international collaborations. to analyze the international progress in promoting women in physics. To achieve them six plenary talks were delivered by prominent women physicists, covering recent major achievements in each of the six areas of physics research. Other participants presented in the poster sessions that were divided into research posters and the work done in promoting women in physics. In addition to the plenary presentations and the poster sessions, several workshops were organized, including a lunchtime session where each delegate met with other delegates working in the same field. 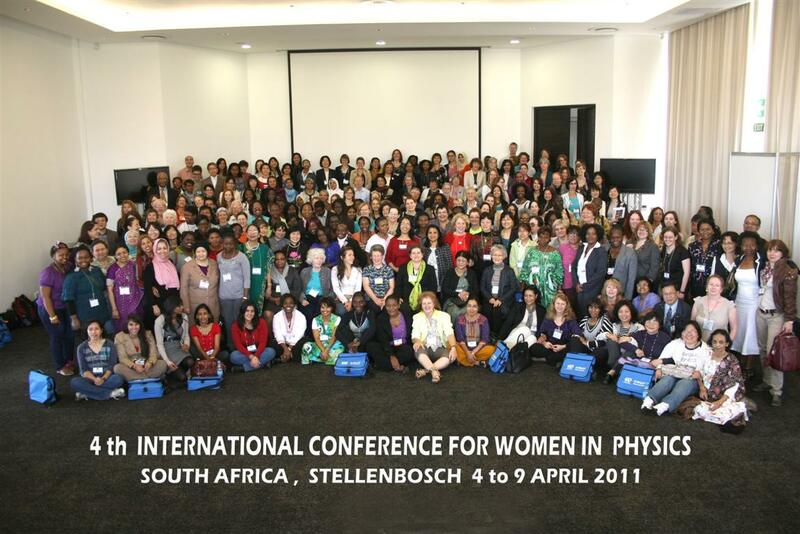 The Fourth International Conference took place on April 2011 in Stellenbosch, South Africa. More than 236 delegates from 59 countries (mainly women) gathered in Stellenbosch to share their achievements in physics, discuss issues facing women and dual career families, share experiences on how to attract girls to physics, and how to provide the best professional development for science teachers. The conference participants shared hands-on physics activities with high school girls as part of an outreach program to encourage local girls in physics. Due to the travel support provided by many different sources there was very diverse participation. More than half of the countries represented were "developing" countries. Workshops featured capacity building around six themes; professional development, improving the workplace environment for women, leaving and reentering a career in physics, gender studies and the role of women in physics, attracting girls to physics, and scientific networking in subdisciplines. A significant highlight of the conference was presentation of the results of the Global Survey of Physicists by Rachel Ivie. The survey was administered in 8 languages and received nearly 15000 responses from more than 130 countries. Additionally there was a special lunch presentation by U.S. astronaut Mae Jemison entitled “The earth we share.” The conference ended with approval of a resolution approved by the 27th IUPAP General Assembly in London, U.K..
seed collaborations in physics research, education, and outreach involving participants from multiple countries in related subdisciplines.